I love to cook but what I really love is interior design/decorating. I’m always searching for the best quality products that also look good in my kitchen. I love the look of bamboo, it’s so chic and modern and looks beautiful on my countertop. I searched and searched and finally came across a company that offers organically grown bamboo products, with fun colors that look good! 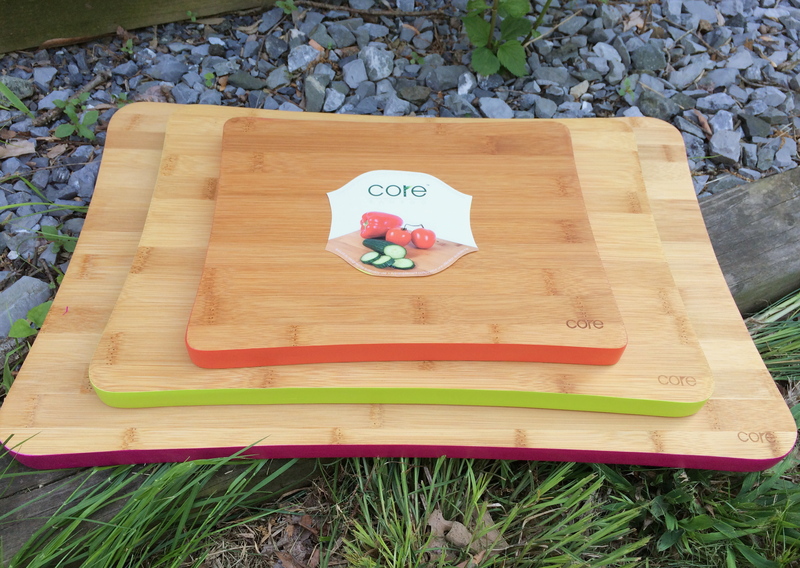 The Color Boards come in three different sizes. Small (8″x10″), Medium (10″x14″), and Large (12″x18″). They come in an assortment of bright colors, I have magenta (large), lime (medium), and strawberry (small).